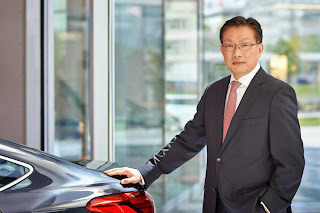 Kim takes over from Byung Kwon Rhim, who has moved to Hyundai Motor Company in Seoul in the role of Head of International Sales Division. "Under the leadership of Mr. Rhim, the company has made important qualitative steps in Europe, and it is an honour for me now to lead the business in Europe. I look forward to working closely with our teams and business partners to continuously enhance awareness and perceptions of the Hyundai brand, to further improve our customers' experiences, and to maintain our growth across European markets," said Kim. Kim began his career at Hyundai Motor Company in Korea. During the last 29 years, he has primarily worked in the International Operations Division, fulfilling roles in global headquarters, the USA and Canada.